Those are the docks of the Woods Hole Oceanographic Institution as I arrived yesterday by ferry. 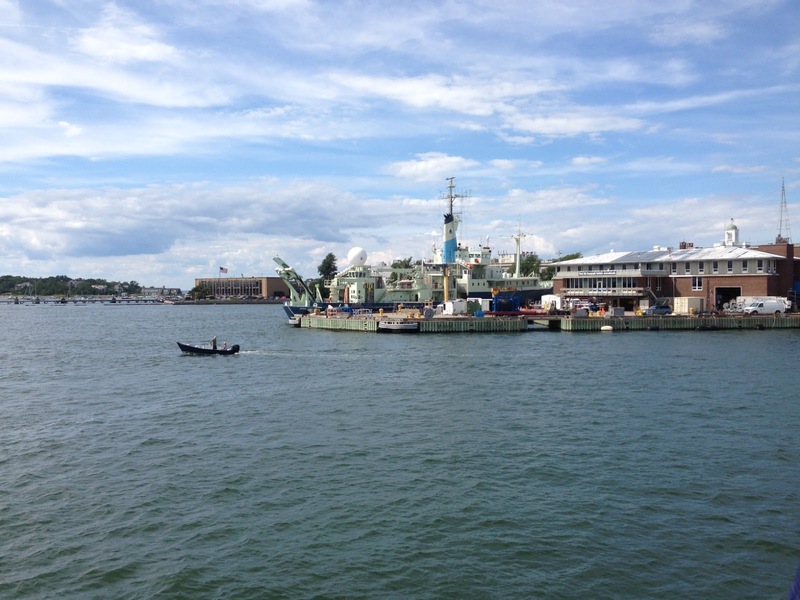 My office here at the MBL is on the opposite side of the Knorr, the large research vessel in the foreground. Tomorrow, at the MBL Society Meeting, we’ll learn perhaps a bit more about the new affiliation between MBL and the University of Chicago. Ultimately, I’m anticipating it’ll involve some significant transfer of resources to the marine lab in return for a significant degree of control from the University. In any case, it represents a monumental change for the 125 year old MBL. My take on the economy here is that it’s still in recovery mode. While Martha’s Vineyard was extremely busy, the local businesses (with one key exception) seem to be struggling. Previous Post Off to Woods Hole….